Small nonfarm businesses in 22 California counties and neighboring counties in Arizona, Nevada and Oregon are now eligible to apply for low‑interest federal disaster loans from the U.S. Small Business Administration, announced Director Tanya N. Garfield of SBA’s Disaster Field Operations Center-West. These loans offset economic losses because of reduced revenues caused by the drought in the following primary counties that began Oct. 1, 2018. Neighboring Oregon counties: Curry, Jackson, Josephine, Klamath and Lake. “Eligibility for these loans is based on the financial impact of the disaster only and not on any actual property damage. These loans have an interest rate of 3.675 percent for businesses and 2.5 percent for private nonprofit organizations, a maximum term of 30 years and are available to small businesses and most private nonprofits without the financial ability to offset the adverse impact without hardship,” Garfield said. 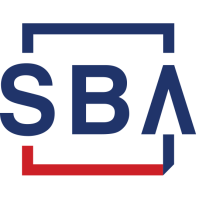 By law, SBA makes Economic Injury Disaster Loans available when the U.S. Secretary of Agriculture designates an agricultural disaster. The Secretary declared this disaster on March 22, 2019. Applicants may apply online, receive additional disaster assistance information and download applications at https://disasterloan.sba.gov/ela. Applicants may also call SBA’s Customer Service Center at (800) 659-2955 or email disastercustomerservice@sba.govfor more information on SBA disaster assistance. Individuals who are deaf or hard‑of‑hearing may call (800) 877-8339. Completed applications should be mailed to U.S. Small Business Administration, Processing and Disbursement Center, 14925 Kingsport Road, Fort Worth, TX 76155. The deadline to apply for economic injury is Nov. 22, 2019.